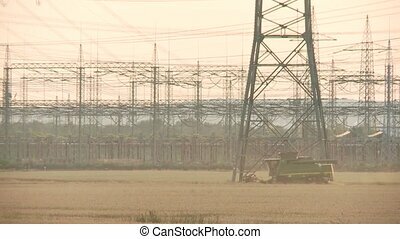 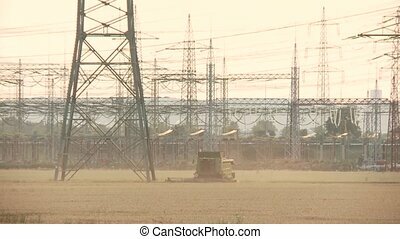 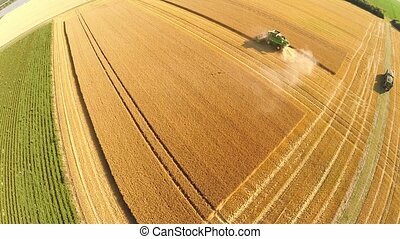 Combine harvester on grainfield. 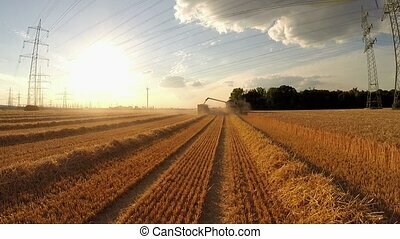 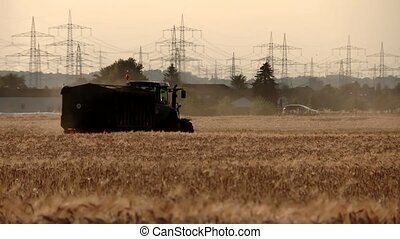 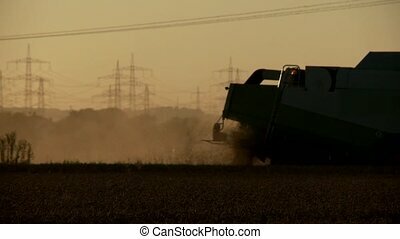 Video footage of a combine harvester on a grainfield at sunset in germany. 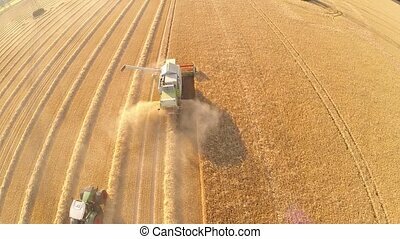 Flying over a combine harvester that reaping organic grain at the field a summer evening. 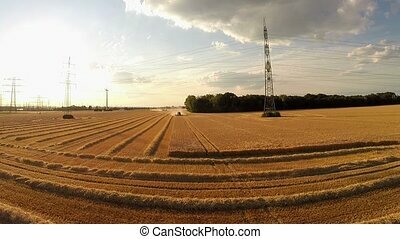 Stabilized UHD 4K video footage. 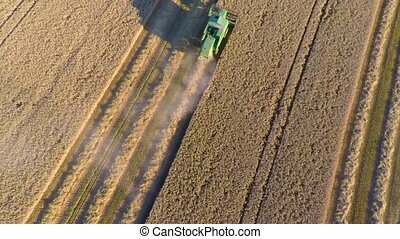 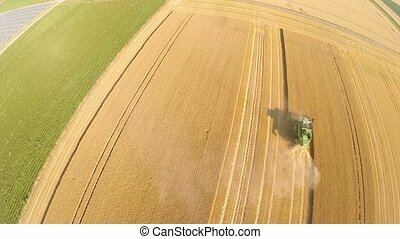 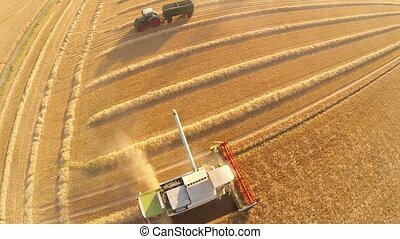 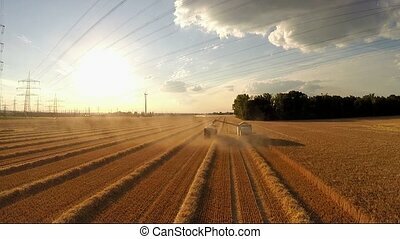 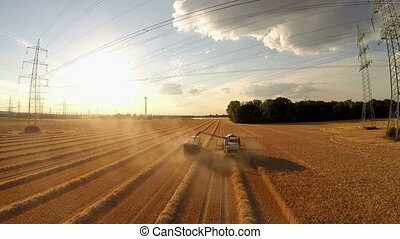 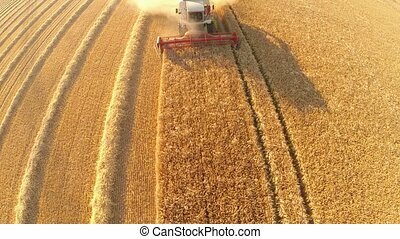 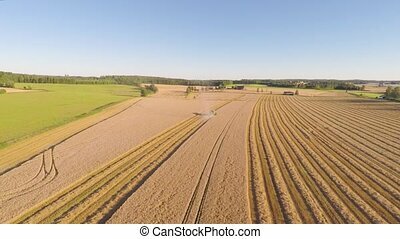 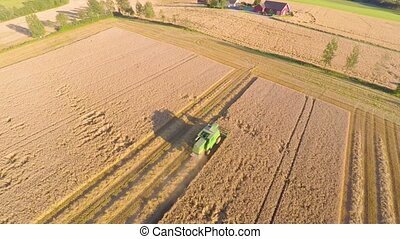 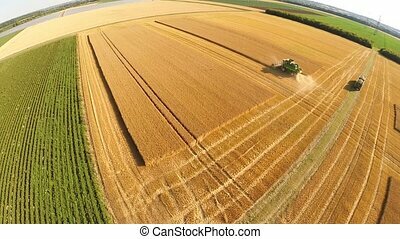 Top view of a combine harvester that reaping organic grain at the field a summer evening. 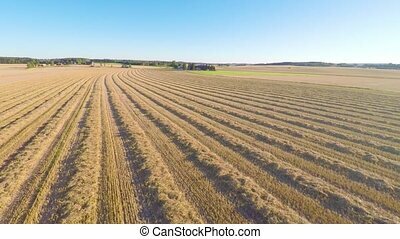 Stabilized UHD 4K video footage. 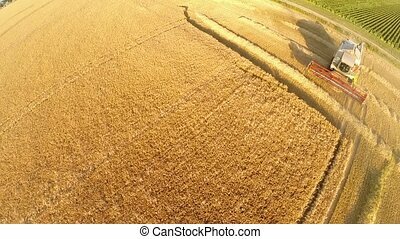 Flying over organic grain field after harvest a summer evening. 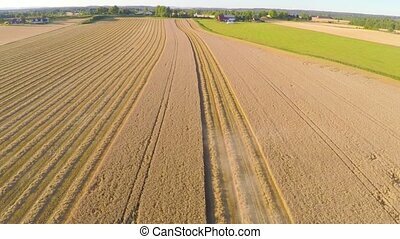 Stabilized UHD 4K video footage.